This past summer, the Department of Housing and Urban Development (HUD) announced that it was proposing new regulations for the condominium approval process of FHA loans and insurance. These new regulations, as initially proposed, would eliminate the “spot approval” process currently in place and would require existing associations to complete a new, comprehensive application process to obtain FHA approval. Once an association completes this process, it would be on a list of approved condominium associations whose units are eligible for FHA financing for two years. Unsurprisingly, these sweeping new regulations have met with considerable resistance from both the lending and community association communities. As a result, implementation of these new guidelines has been delayed a second time, to December 7, 2009. In the coming weeks, FHA and HUD promise to release additional guidance on how to best transition an association to the new regulations. The attorneys at Kaman & Cusimano, LLC will continue to monitor this progress and will update readers on any developments. 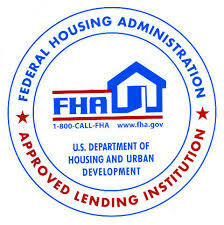 If and when the new guidelines are issued, we will provide information on how best to proceed with FHA financing. In the meantime, the “spot approval” process continues to be the easiest way for a potential unit owner to obtain FHA financing. The Community Association Institute (CAI) has been an integral part in lobbying Congress, HUD, FHA, and the administration to make the FHA financing process as easy as possible on the millions of American community associations. Please check back to this blog in the coming weeks for additional updates from the CAI, HUD, and FHA. Previous Article Previous Article: HOA Legislation Introduced!